Group F is probably one of the easiest groups to predict who will finish first. Argentina are the clear favorites against the likes of Bosnia-Herzegovina, Iran and Nigeria, but the only unknown variable here ins this group might very well be only knowing who will follow Lionel Messi and his teammates into the last-16 stage. It's been almost 30 years since Argentina last won a World Cup (1986), but looking at the group where they were drawn into this year, they might have their job facilitated at least until they reach the knock-out stages. They'll have to measure up against the likes of Bosnia-Herzegovina, Iran and Nigeria, but none of these teams look to be stronger enough to pose a serious threat against the "Albicelestes" intents. Nevertheless and besides the obvious pick for the group winner being Argentina, the second spot is probably doomed to be decided between either Bosnia and Nigeria. We'll go with the European side on this one though, who have shown consistency thus far and have been one of the biggest surprises during the qualifiers for this 2014 FIFA World Cup. The 2-times World Champions (1978, 1986) arrive to this FIFA 2014 World Cup regarded as one of the top favorites to lift the trophy next July 13, as sports bookies offer them a payoff of 5 for every euro invested on the "Albicelestes" becoming the next World champions. They come up ranked on 5th place at the FIFA World Rankings table (recently updated this month) and they are deemed as having one of the strongest attacking fronts in this tournament. Despite the lack of support from their own fans in the beginning of their qualifiers campaign towards this World Cup, Argentina managed to turn things around and have finished on the top of their group, ahead of Colombia, Chile, Ecuador and Uruguay. Without Brazil around (being the host nation, the Brazilians naturally earned a direct entrance into the tournament), the Argentinian National Team didn't have much difficulties dictating their law in the South America qualifiers, completing 16 games with 9 wins, 5 draws and 2 losses. Their coach, Alejandro Sabella, left one of the team's heavyweights off his list when he announced the 23-men squad and didn't include Juventus' forward Carlos Tevez. However, and looking at the caliber of the players that the Argentinian manager has at his disposal for this World Cup, we easily come to the conclusion that they sure won't lack any firepower in their attack. 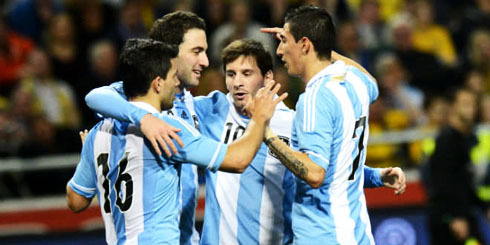 Barcelona's superstar Lionel Messi will be accompanied by his pals Sergio Aguero, Angel Di María and Gonzalo Higuaín and they will all be eager to clean their image from that last World Cup appearance where they've lost 4-0 against Germany. 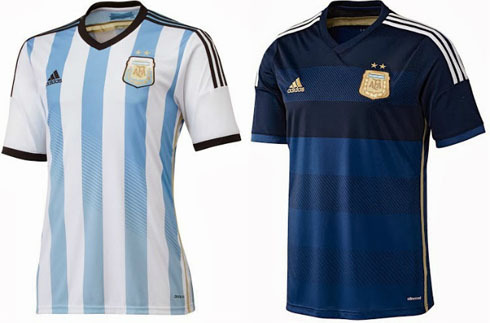 Argentina XI: Romero; Zabaleta, Garay, Demichelis, Campagnaro; Mascherano, Enzo Perez, Di Maria; Aguero, Lionel Messi, Higuaín. The Bosnian Team came out of their qualifying group in first position, after finishing ahead of Greece, Slovakia and Lithuania. They are an absolute debutant in World Cup stages, and the last time they've been close to get to this level of the tournament they ended up falling at the hands of Cristiano Ronaldo and Portugal, in a 2-leg playoff that was played back in November of 2009. Having lost just once during their qualifiers for this World Cup must somehow allow Bosnia to approach this tournament in Brazil with a fair share of optimism. The fact that besides Argentina their two remaining opponents in Group F are Iran and Nigeria, must certainly be regarded as a very positive indication. Their main strengths reside in the attack, where Stutgartt's Ibisevic and Manchester City's Edin Dzeko are set to become this Bosnian Team's biggest threats. 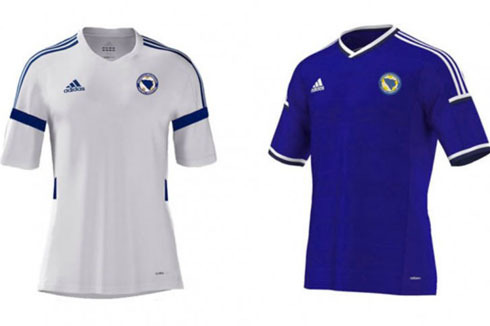 Bosnia is not regarded as anything close to a true contender in this World Cup though, as sports bookies are offering a 151 payoff factor for them winning this summer's tournament. Bosnia-Herzegovina XI: Begovic; Spahic, Sunjic, Besic, Mujdza; Misimovic, Hajrovic, Pjanic, Salihovic; Ibisevic, Edin Dzeko. Iran made it to this World Cup after surprisingly finishing on top of the Asian qualifying stages, ahead of South Korea. They went through 8 games on that group, won 5, draw 1 and only lost twice. The most curious fact is that within those 8 games, they've only scored 8 goals and also only conceded 2. This will be their 4th appearance in a World Cup and they are currently coached by Carlos Queiroz, the Portuguese manager that was behind the Selecção precisely during the last World Cup hosted in South Africa. They are ranked 43rd at the FIFA World Rankings and their odds to win the tournament are set at an always tempting 1501 payoff. However, coming out of their group will surely already be seen as a great achievement by their fans. 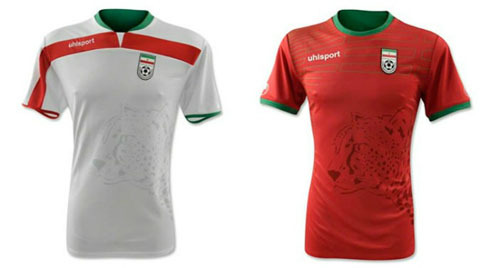 Forwards: Ashkan Dejagah, Masoud Shojaei, Alireza Jahanbakhsh, Reza Ghoochannejhad, Karim Ansarifard, Khosro Heydari. Iran XI: Davari; Beikzadeh, Jalal Hosseini, Sadeghi, Beitashour; Teymourian, Nekounam, Dejagah, Hadadifar; Masoud Shojaei, Reza Ghoochannejhad. 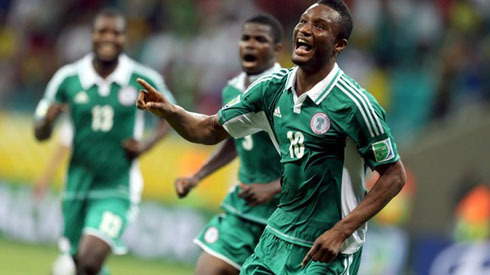 Nigeria had to beat Ethiopia in order to qualify for the 2014 FIFA World Cup and they've done it without much struggle. They've won both the home and away legs with favorable 2-0 and 2-0 wins (4-1 on aggregate), and they advanced to this final stage of the tournament for the 5th time in their nation's history. In Brazil, they'll be hoping to at least repeat their performances from 1994 and 1998, where they've topped their groups in first place and got as far as the last-16 stage. They are counting on relying mostly on the experience coming from Chelsea's midfielder John Obi Mikel but also in their strikers, as they've got 3 English Premier League attacking players in their ranks. Victor Moses from Liverpool, Ameobi from Newcastle and Odemwingie from Stoke, will all try to impress in the World Cup and carry their team into the next round. Nigeria is currently ranked in the 44th place at the FIFA World Rankings and their chances of becoming champions in Brazil are valued with a 251 payoff factor. 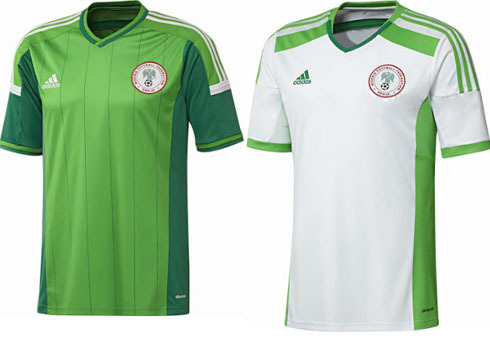 Nigeria XI: Enyeama; Efe, Oshaniwa, Yobo, Oboabona; Onazi, Mikel, Azeez; Odemwingie, Ameobi, Moses. Cristiano Ronaldo's next game will be the first World Cup match between Portugal and Germany, scheduled for June 16 of 2014, in Salvador (Brazil). You can watch Juventus live stream, Germany vs Portugal, Spain vs Netherlands live, Brazil v Croatia, and Chile vs Australia, all matches provided from our World Cup soccer streaming pages.